Sparked by this creative firestorm, Showalter found himself with a stockpile of songs. Not only was it enough for Leave Ruin but also the follow-up, Pope Killdragon. Released in 2010, Pope Killdragon finds Showalter shifting gears and working towards making his dream album, one that experimented heavily with synthesizers. Though he was helped by a producer, he played all the instruments. Showalter wanted to marry very real personal songs with strange stories, strange sounds and heavy metal songs into an intriguing group of songs. The name Pope Killdragon, like the songs, came from a strange place. Originally creating the name as a joke, Showalter began sympathizing with the life of Pope John Paul II. As far as sonically, he knew he wanted to include synthesizers. Unlike guitars, synthesizers remind him of a very peaceful place. For Showalter this album will always have a special place in his heart. When it came to writing Dark Shores Showalter didn’t want to forget what made Pope Killdragon but he says its part of the artistic process that you keep writing. Strand of Oaks has and always been Timothy Showalter. But on Dark Shores, he feels his vision for Strand of Oaks is the most realized it’s been yet. While Leave Ruin and Pope Killdragon found Showalter tackling various instruments, Dark Shores finds the songwriter taking a bandleader role and surrounding himself with superb talent. Showalter says John Vanderslice made things safe for him and that he could let go as the others would “do it justice and do it with dignity.” While it took about six years for the previous two albums Dark Shores took only one to two months to write and record. Emboldened by the unexpected success of letting go on Dark Shores and creating something very beautiful, Showalter says he might end up rerecording Leave Ruin at some point to get it exactly how he felt it. That isn’t a surprise given Showalter’s continuing efforts to experiment and explore his songs. “He’s always tinkering with his sound and band arrangement because I think these songs continue to grow and live and haven’t been fully realized yet,” says Matteson. While Showalter doesn’t think the way Dark Shores was recorded will be a model for all his future albums, he’s glad that he did it at least once. “It was good to do it once to learn as a person how to trust people and trust the right people to complete your vision,” says Showalter. Showalter doesn’t have any plans to stop or set any limits to what he can accomplish. The past year has taught him that through working with others, or the collective ego as he calls it, he can mold his band into whatever form is best for the songs. “It’s really understanding the group that you need to be with and what the record calls for and project calls for and letting go of yourself and giving up to the whole,” says Showalter. He also doesn’t want to put limits on what the live show could be, whether it’s in the current duo with drummer Chris Ward or a dream nine-piece band. Working live with others can make his job much easier. 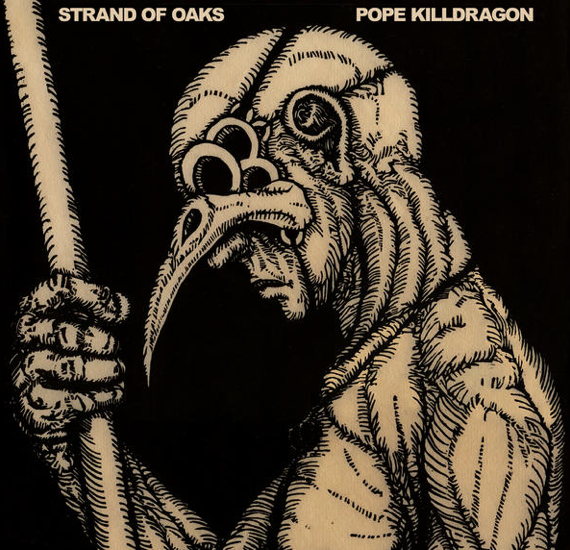 While he encourages outside ideas from others he doesn’t think Strand of Oaks will ever be four people writing together as a group since that’s not what the band is about. With that journey, each day is a new lesson on how to be a musician and person. Showalter is already working songs for a new album, anxious to keep documenting what his mind is doing. Though it probably will change numerous times, he says the new songs currently sound like Paul Westerberg of Minneapolis rockers The Replacements singing in front of the atmospheric Blade Runner soundtrack.